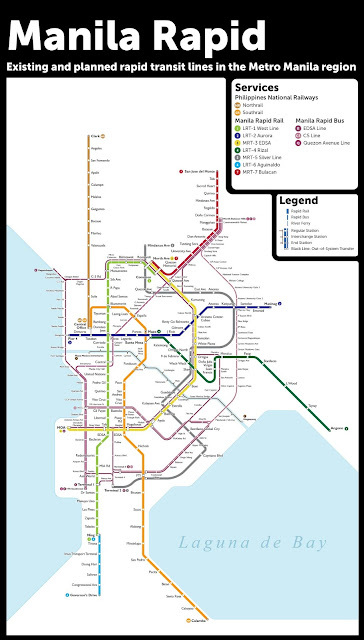 This is how Metro Manila's system will look like once Build Build Build projects are completed according to one Filipino netizen. Frustration with the sorry state of public transportation in Metro Manila is as universal as it is tragic. And while the problem does tend to feel eternal and inescapable, there are, in fact, existing efforts to fix it: new bus rapid transit lines, as well as new railways and extensions to existing ones are in the pipeline (albeit in different parts of the pipeline). Click the photo to magnify.